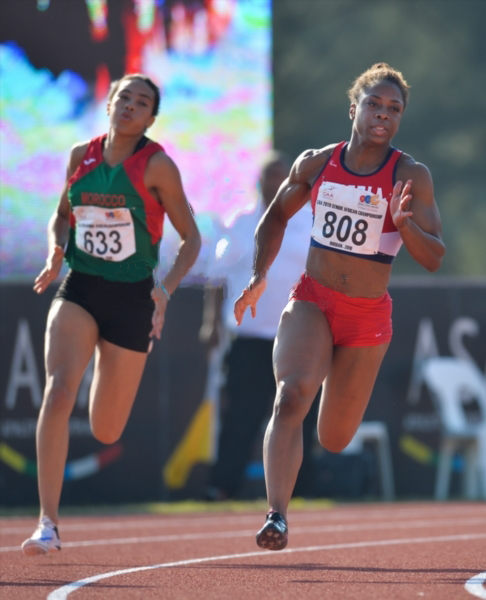 Liberian female sprinter Ada Udaya placed 3rd in her 100m heat and 4th in her semi-final heat, at the 20th African Senior Championships which began Wed. June 22. Udaya, along with other global track & field athletes, is fighting to qualify for the 2016 Rio Summer Olympic Games. 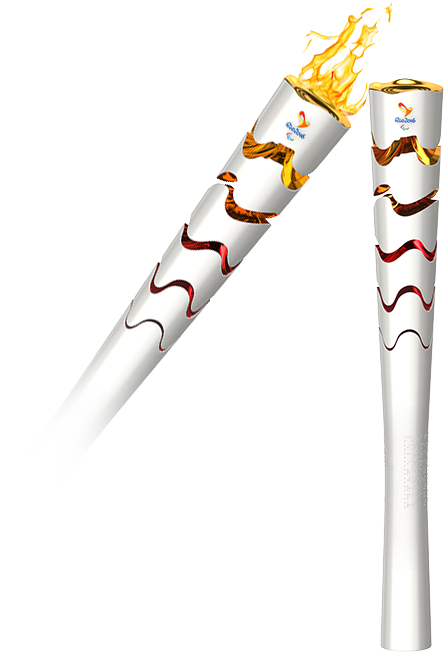 The athletes have until July 11 to clench their spot among the 2,005 international track stars who will compete in Rio. The Liberian runner clocked in at 11.67 seconds, which does not give her an automatic ticket to Rio. She missed the 11.32 seconds women’s entry standard by .35 seconds (that’s a blink of an eye) and did not make it to the Women’s 100m finals. If there are places remaining at the end of the qualification period, the IAAF will invite the best ranked athletes to compete, in order to achieve the ideal number of entries in each event. 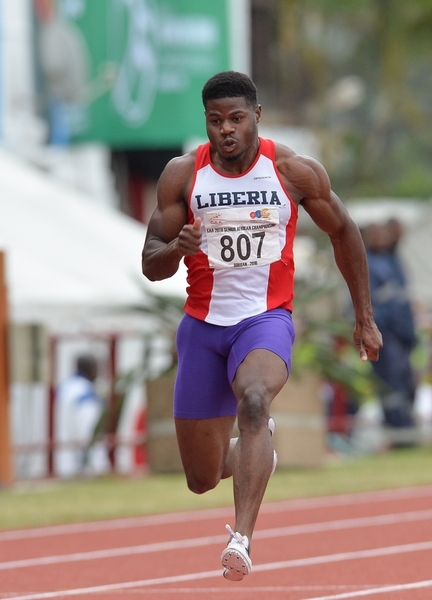 Liberia also sent male sprinter Emmanuel Matadi and female Heptathlete Maya Neal to the 20th African Senior Championship. Matadi finished 1st in his 100m heat with 10.24 seconds. Though this time does not meet the men’s entry standards, Matadi has already qualified to represent Liberia in Rio. During the Men’s 100m finals, Matadi fell to 5th place sharing the 4th fastest time (10.24 seconds) with a South African sprinter. Neal continued her championship competition. On day 4, Udaya returned to the track to compete in the women’s 200m race. She placed 2nd in her heat with 23.75 seconds. Udaya’s time advanced her to the women’s 200m semi-finals, but again did not qualify her for Rio. In the semi-finals, Udaya placed second in her heat and advanced to the finals. Matadi also returned to compete in the men’s 200m race and placed 1st in his heat with 20 .68 seconds. He advanced to the semi-finals where he placed 1st in his heat again with the 3rd overall fastest time, 20.51 seconds securing his spot in the men’s 200m finals. The big news of the day was Matadi’s 3rd place finish in the finals. Liberia owes a big congrats to Matadi,who brought us a Bronze medal with a 20.55 finish in the men’s 200m finals. CONGRATS to the Liberian Track & Field Team. We are watching and cheering you on as you prepare for Rio. Every two years, the Confederation of African Athletics (CAA) hosts the athletic championship. This year it was held in Durban, South Africa. Two-time Liberian Olympian Sayon Cooper leads the Liberian Track & Field Team as head coach. *This story was edited to reflect the African Senior Athletics Championship is hosted every two years, not four. 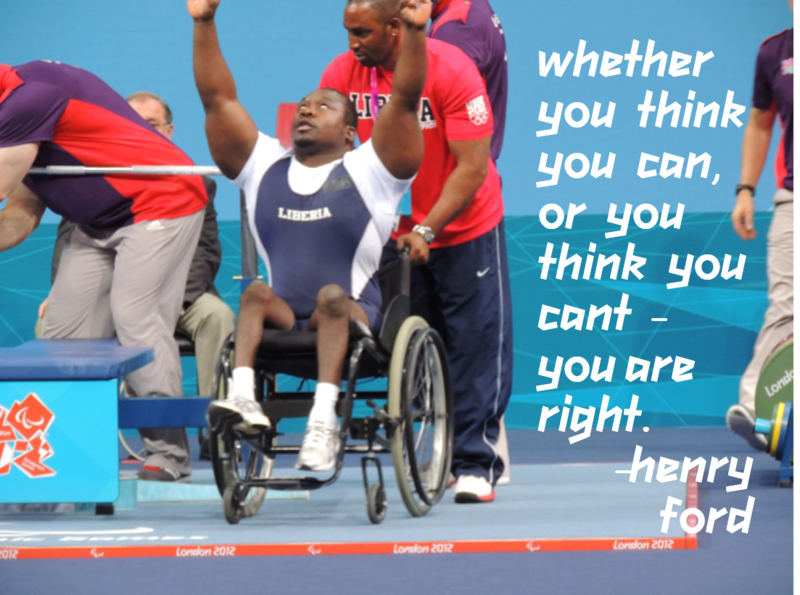 Kindly let us know how we can help our LIBERIAN Athletics.